An aerial view of Kent State University Kent Campus. 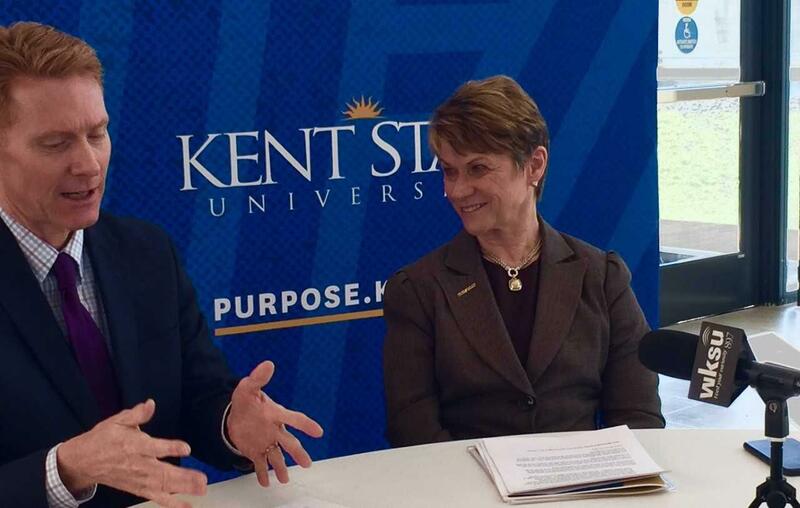 Kent State University President Beverly Warren with Kent City Manager Dave Ruller discuss the university's new economic impact study. Approval of the facilities master plan is expected to go to a vote at the Board of Trustees meeting, next week.